We’ve all been there. You’re on vacation and all you want is a decent photo of you and that iconic monument behind you. You quickly scan the crowd, pick that one person with a snazzy camera who looks like they might know a thing or two about taking pictures. You hand over your camera, kindly remind them not to forget to capture the background too. They grab hold, position the camera and instantly you know you’ve made the wrong decision. Check it out — beautiful backdrop, right? Not exactly what we had in mind. 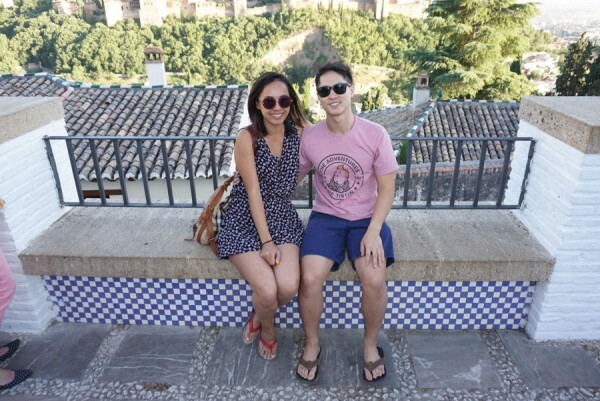 I supposed our camera man thought capturing our cheap sandals was far more important than capturing the 11th century Alhambra behind us. I cannot tell you how many feet pictures we’ve collected over the years — Taj Majal, Eiffel Tower, the Parthenon — it’s just baffling and down right frustrating some times. I swear, it would be so nice if people walked around with a “student driver” sticker on their forehead, or in this case, “student camera”. If not to save lives, than memories. After all, when am I going to get to revisit these places any time soon, right? This is exactly why G spent weeks scouring the internet for a local photographer to take our surprised proposal in Prague. Only that time, he did it the hard way: posting questions on open forums, exchanging emails, negotiating price and relying on his gut that things would pan out. Thankfully, it did. I know this comes as a surprise, but apart from the proposal and our wedding day itself, we barely have any good photos together. Selfies don’t count. So, imagine how thrilled I was to have found Flytographer! 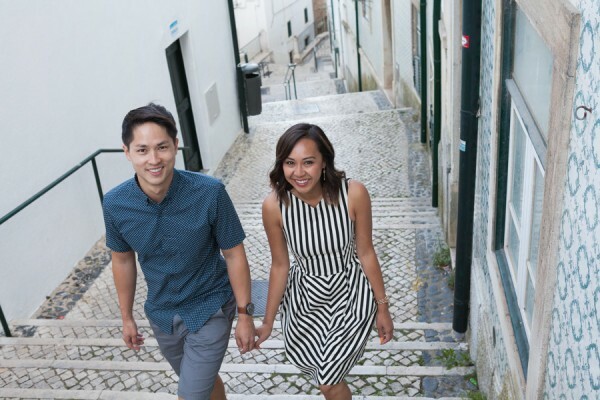 The idea behind Flytographer is simple: hire a local photographer to follow you around on your vacation while taking ridiculously good pictures of you. Before arriving to Lisbon, our Flytographer concierge (yes, a concierge!) emailed us a short questionnaire to better understand us and what our expectations were, what we’d want out of our shoot. 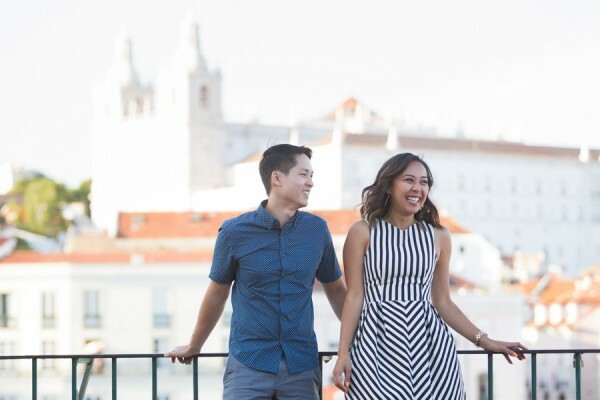 I simply said, candidly capture our goofy selves with a hint of Alfama in it, we wanted that Old District charm. On the day of, I snuck in a last minute request asking him to avoid capturing my arm fat and double-chin. It made him laugh, but I was dead serious. I’m happy to report, Gonçalo nailed it. And, he managed to keep my double-chin at bay too. Kudos for that! Are you imaging the possibilities already? Think about it: honeymoon in Hawaii, family vacation in Mexico, surprise proposal in Paris, solo trip to New Delhi, or just any ‘ole vacation will do, there need not be a reason, only a destination of your choosing. 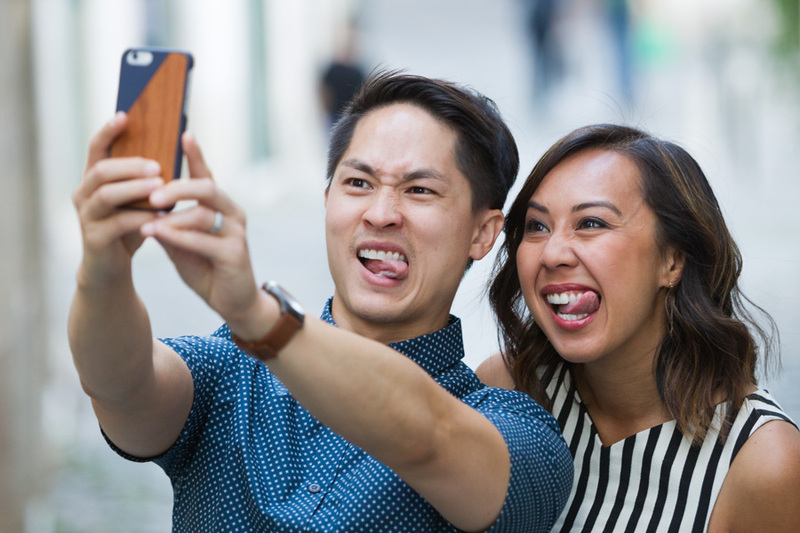 Picture your travel memories to be more than just selfies or the unwelcoming feet photos. We did and this is by far one of the coolest, not to mention beautiful souvenirs we’ve taken home yet. I’ll leave you with one more — my favorite picture from our shoot in Lisbon. You have to admit, it’s quite a genius idea. 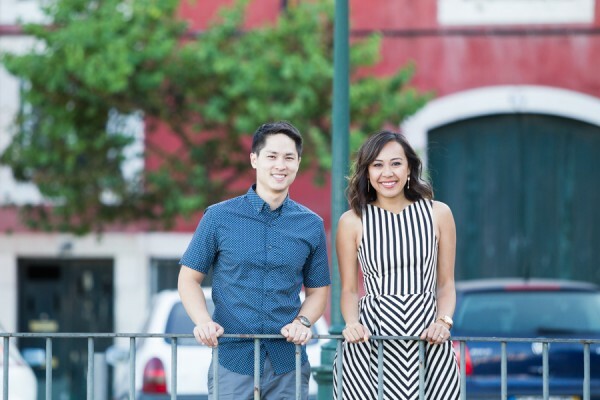 I’m just bummed we didn’t discover Flytographer sooner, especially when we were traveling long-term. I would have loved to have done this in Tokyo and Budapest. Or, when we were with friend in Honolulu or Rio de Janeiro too — that would have been fun to have our vacation with friends captured professionally. 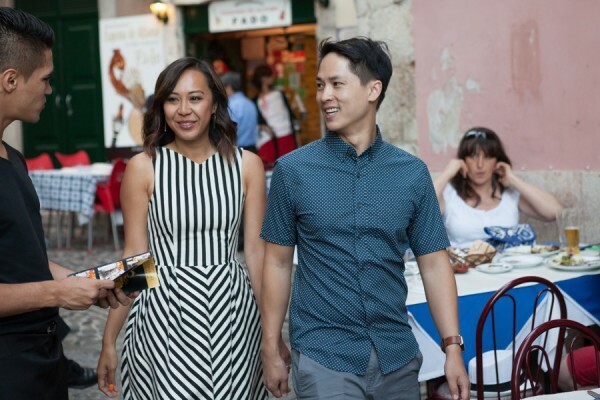 Good thing Flytographer’s in over 140 countries. I’ve got plenty of time (and places) to chose from. Help us decide which photo to frame — share your favorite pick in the comments! It’s that simple! 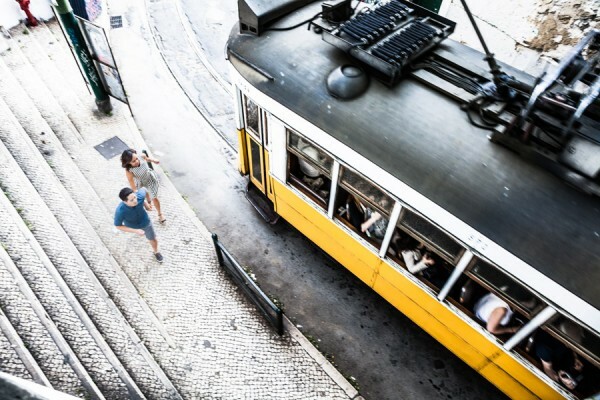 We booked The Story Teller package for a 30-minutes shoot in Lisbon, Portugal with Goncalo B. Although having done one now, I highly recommend at least 1-hour; 30-minutes goes by fast! Disclaimer: A very special thanks to the wonderful people at Flytographer for gifting us this incredible experience. While our first session was complimentary, all opinions are our own. More sessions are definitely in our near future — we are hooked. A new destination awaits! Definitely that last one — love the splash of yellow and the viewpoint! Did he use a drone or stand on a balcony for that?? Lovely photos, I agree they are the best travel keepsake! I love Flytographer’s work! My favorite capture in this set: the one with the streetcar. What a fantastic idea! A mix of photos is really cool too allowing your personalities to come through naturally rather than the photos all being staged and posed. Yes! I’m loving the mix of photos and non-staged ones. We don’t have anything like this in all our travels so it’s quite refreshing.